Blender Cloud is growing into a reliable and powerful storage solution. It is our goal to improve the workflow with Blender and today we are taking our next step in this direction: introducing Blender Sync. 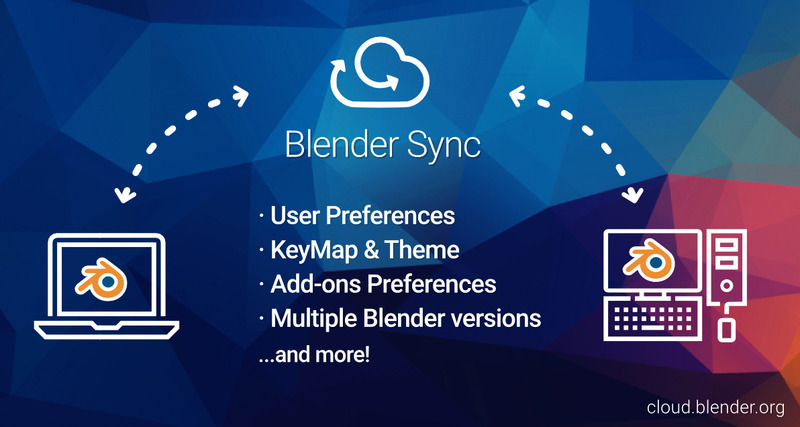 Blender Sync is part of the Blender Cloud add-on and it allows users to synchronize their Blender Startup and User Preferences files across multiple workstations, via the Blender Cloud. First activate the Blender ID add-on (built into Blender since 2.78), and log in using your Blender ID (don't have a Blender ID yet? Go get it!). Then download the Blender Cloud add-on, install, and activate it. If you installed a previous version of the add-ons they will be automatically upgraded. You need to restart Blender for the changes to take effect. Now you can Save an Load your preferences and settings across devices. Multiple releases of Blender are supported. Note: Add-ons preferences are synced, but not the add-ons themselves. Other settings that do not intentionally get synced are: CUDA device settings, DPI and file paths in the User Preferences panel. We are happy to provide this functionality for free to everyone! All you need is a Blender ID. As we roll out this first release of Blender Sync, we are already extending its functionality. Soon it will be possible to take a screenshot or a render output within Blender, and upload it automatically on the Cloud so that it can be shared with anyone. We hope you enjoy the new Blender Sync! Let us know in the comments if you have any questions or encounter any issue.